Nissan North America, Inc. and New York City will be piloting six Nissan LEAF all-electric vehicles beginning in Spring 2012. These cars will be put into normal taxi service (with an existing taxicab medallion) and will enable Nissan, the City, the taxi industry and the public to learn more about how electric vehicles work as taxis. Nissan is looking for owner-drivers and fleet operators who are interested in participating in this exciting pilot program. 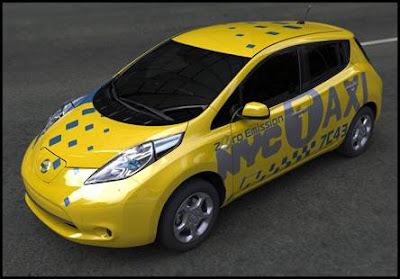 Each participant will receive a lease on a Nissan LEAF to use as a taxicab for up to a year free of charge and will provide valuable feedback about his or her experience.